I’d like you to meet Rayah. I have known her since she was…about 10 months old coming to breakfast at Shelldale with her brothers. This little girl has been through SO much in her little life and her mom could really use some help. With mom’s permission i have shared her story and link to her go fund me page. If you can help even a little bit. It would be appreciated. My name is Cassandra. I have a 5 yr old daughter. Her name is Rayah Rose Reilly. Rayah is the youngest of 4 Children. She has 3 older brothers. Rayah was born with Hereditary Spherocytosis. Hereditary Spherocytosis is a disorder in your red blood cells. Rayah’s red blood cells deminish and her body has a hard time producing more. 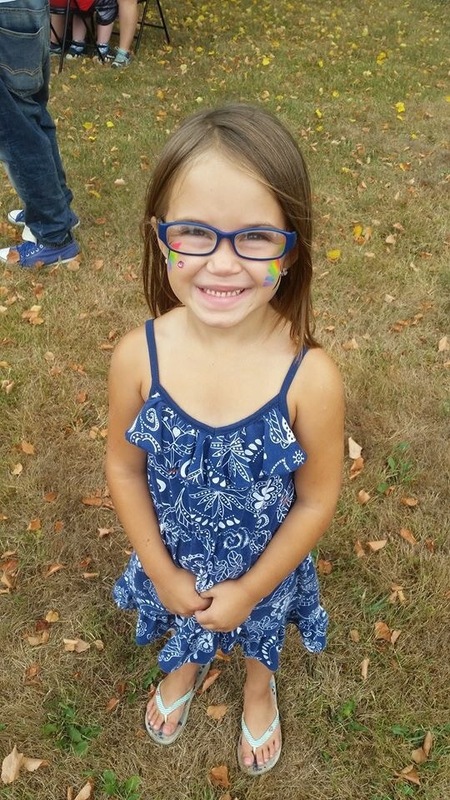 Rayah has had congestive heart failure and early stage of organ failure due to her illness. Rayah has also contracted MRSA from her hospital stays. Usually the breakdown happens rapidly if Rayah contracts a virus. We all know that viruses are easily spread person to person. Rayah does attend school and absolutely loves it! She is in SK. Due to the breakdown of Rayah’s hemoglobin she has had 12 blood transfusions starting at 3 weeks of age. Since October Rayah had recieved 3 of those 12. Last week Rayah was very ill. We called McMaster where Rayah see a dr from hemotology and took her down Thursday morning. When we arrived we did our routine finger poke. ( That’s how they get blood for testing) Rayah has been having severe symptoms: daily stomachache, headache, vomitting, dizziness, sleepy, irritable, pale, fever, sore legs and not eating. The dr decided to do a routine ultrasound to see the size of her spleen. Since Sept Rayah’s spleen has started to grow rapidly causing more and more symptoms. As of now Rayah’s spleen size is 13.7 cm a regular spleen size is 6-10.5 cm. The Dr, Rayah’s father, and I discussed how the effects from the transfusions can be harmful seeing as they transfused her that day making it 12 times in her short 5 yrs of life. As of now we are watching Rayah closely for signs she needs more blood and letting her be as normal of a 5 year old girl as possible. We have made everyone we can aware that her spleen is very large making playing, falling, and accidents very scary. She has to try to be as careful as possible. Next we wait for the surgeon from McMaster to contact me and a Dr from poison control as well. Rayah will need extra booster immunizations due to the risk of infection after her spleen is removed. We are hoping for this to take place in the spring. Until then she will receive blood when her body needs it. A splenectomy is a risky and introsive surgery. Rayah will be at the risk of infections for the rest of her life. I am a stay at home mom. I am the one who takes care of all the kids at home and I go to the hospital with Rayah when she needs to stay. Rayah’s father is a seasonal worker. With his all being said we do not have benefits to be reimbursed for any of Rayah’s medical expenses. Now that things are so severe and we are travelling to drs more and are waiting for the surgery to take place we need help with expenses that come for the family when a child is clinically ill. Thank You if you took he time to read about my princesses journey. Please donate if you can anything will be helpful. Please feel free to share our story with your friends and family. @BuzzDean has confirmed that @gpsmedia has accepted @OnwardWillow ‘s challenge!! 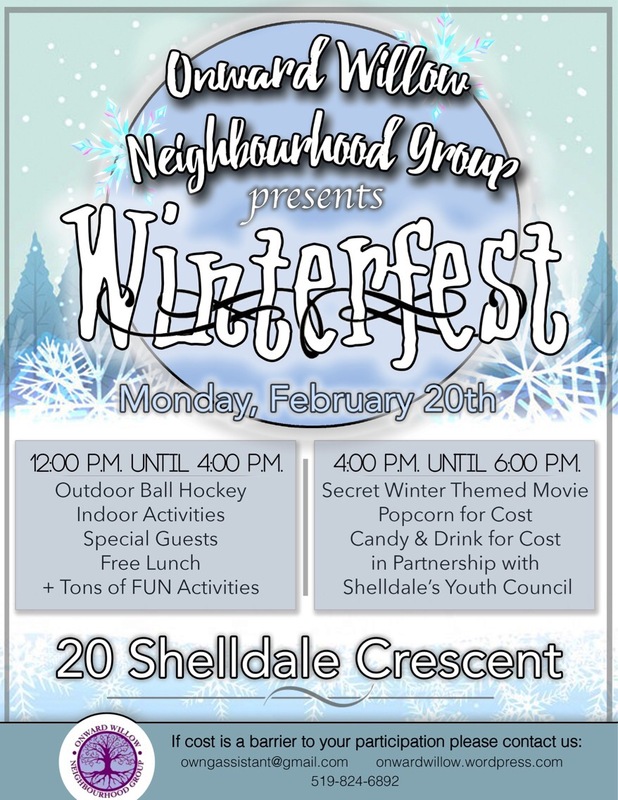 So if you want to play a little ball hockey come join us Febuary 20th 12-4pm at 20 Shelldale. Free lunch for all generously donated by @GTGuelph!! Come join us for a little fun with your family on Febuary 20th!! 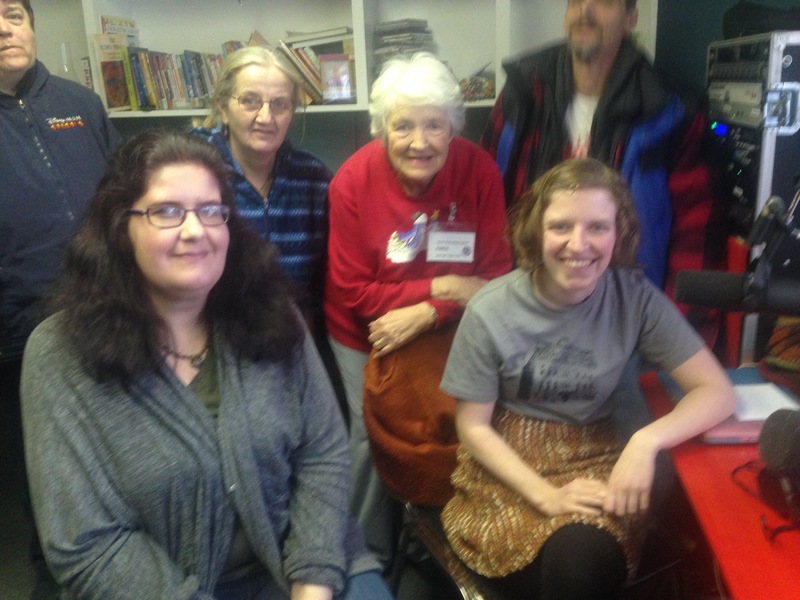 Today Onward Willow said not goodbye, but see you later to Jenny Mitchell and CFRU Community Mobile Station. We have had to pleasure to work with Jenny to capture some of Onward Willow’s best stories. PLUS!!! Keep your eyes open for the soon to be launched Micro stations setting up at selected Neighbourhood group. Onward Willow is in need of monitors, USB keyboards, and mice. If you are in need of a computer and please call 519-824-6892 and be added to the wish list today. Come join us Wednesday to say Farewell to Jenny and CFRU team!!! Last chance to share your story before they move on to their next location! !